Jardin-Patrimoine specialises in the creation or upgrading of parks and exceptional gardens. It strives to meet the demands of both owners and managers. 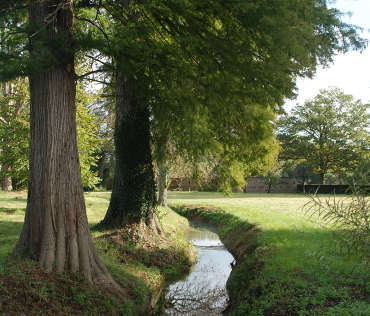 In 2012, Jardin-Patrimoine was given the Savoir-Faire Award by Patrimoine Rhônalpin for its work on the Château de Joyeux gardens (Ain -France). The company founder, Frédérique Tézenas de Montcel, graduated from the Ecole Nationale des Ingénieurs de l’Horticulture et du Paysagisme in Angers, where she acquired sound technical knowlege of plants, landscape composition and maintenance of natural areas. She later specialised in « haute couture » gardens and landscape at the Ecole Nationale Supérieure d’Architecture of Versailles. After graduating, Frédérique turned a passion for historical gardens, heritage and landscape into a profession. In 2015, she was awarded an honorary distinction for the 100th anniversary of the Academic Arts & Science Society of Paris.